America's long-standing love affair with shopping at malls and department stores may be nearing an end. "The traditional mall as we know it is doomed," said according to Greg Portell, a retail consultant at A.T. Kearney. "When was the last time a mall closed that people missed, other than the people who worked there?" That's a much steeper drop than other troubled industries. For example, coal mining jobs dropped 32% during the same 15 years. Factory employment fell 25%. "For the young, it's a rite of passage in learning how to work, how to deal with customers," said Amanda Nicholson, professor of retail practice at Syracuse University. 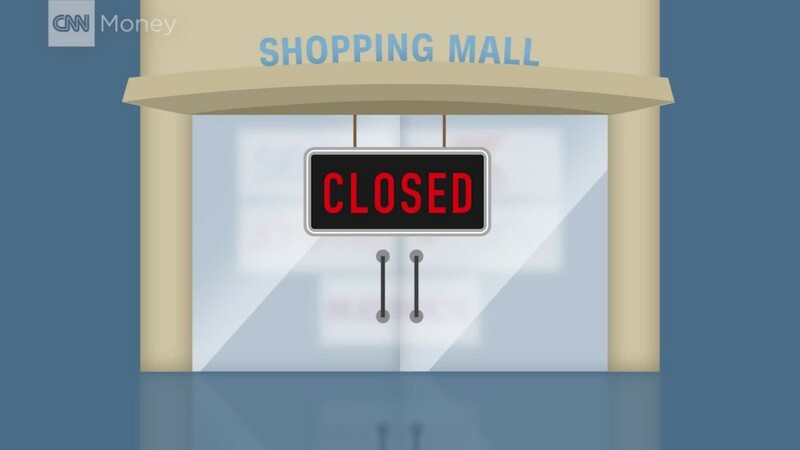 Some 3,300 store closings have been announced so far this year, according to Fung Global Retail & Technology, a retail think tank. That's double the number in the same period in 2016. Further proof of the struggle stores face emerged this week. A raft of retail icons posted disappointing financial results: Macy's, JCPenney, Kohls, Dillards and Nordstrom. Each of them told the same grim tale about losing sales and market share as Americans shop elsewhere. The trouble isn't likely to end any time soon. Competition from online rivals like Amazon (AMZN) is continuing to intensify, and chains such as Walmart (WMT) and Target (TGT) are investing more money in online shopping, rather than in traditional stores. Abercrombie & Fitch (ANF) announced this week that it is looking for a buyer for the company. And the CEO of Sears Holdings (SHLD), which owns the Sears and Kmart brands, told investors that vendors are treating the company "like a pariah" since it warned investors earlier this year it may not be able to stay in business. "There are some chains that are already obsolete and hanging on by a thread," said Marshal Cohen, chief industry analyst at NPD Group.